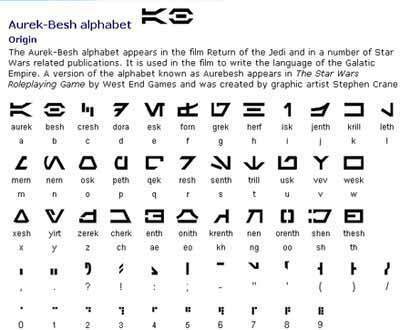 ster Wars Language-aurek-besh. . Wallpaper and background images in the ster Wars: Clone Wars club. Cool.Il save it and learn it later. Awesome, I was gonna turn on the movie sometime and write it down. No I don't have to, thanks so much awesome I'll learn it and write in it sometime! LOL then it'll be awesome!